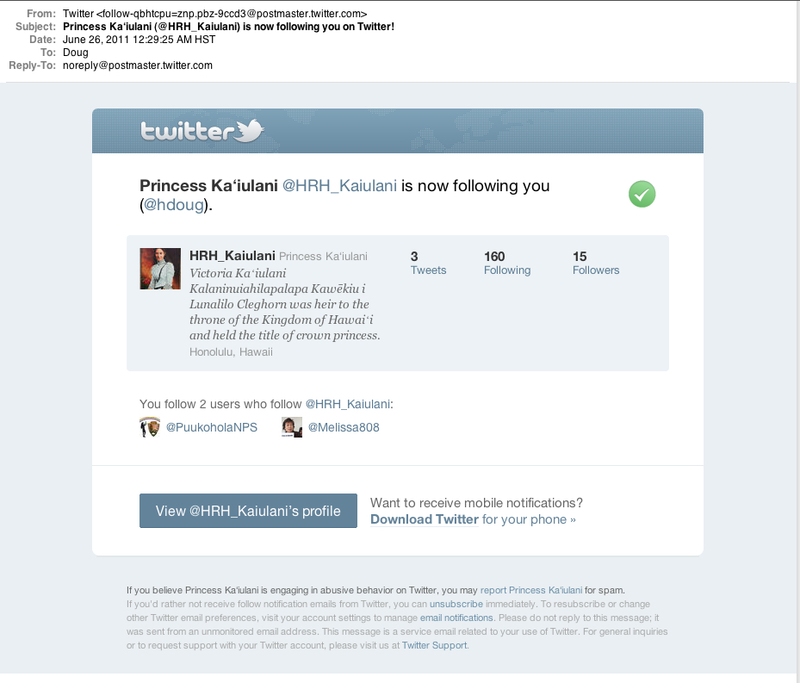 When I got an email this morning telling me "Princess Ka‘iulani is now following you on Twitter!" 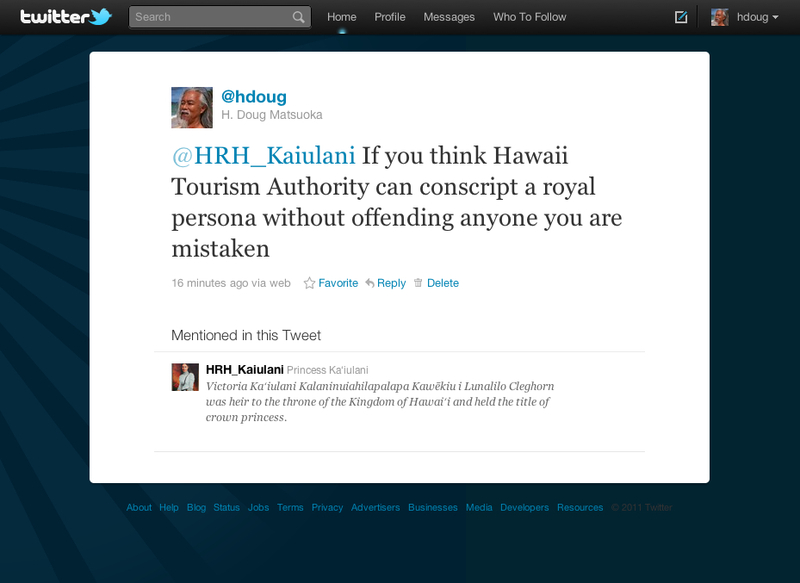 I thought for sure it was a Hawaiian sovereignty activist account. Who else would assume the persona of such an outspoken opponent of the annexation of Hawaii? Boy, was I wrong. 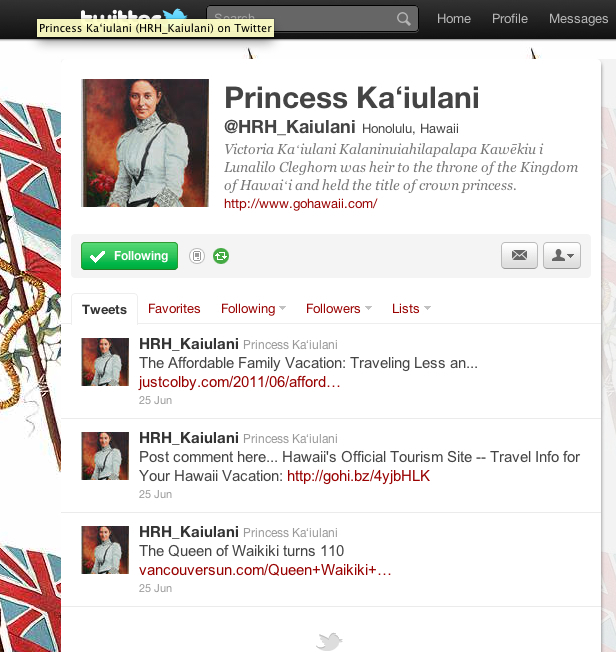 The profile URL for the account is to GoHawaii.com, which is the consumer-facing travel website for the Hawaii Tourism Authority. 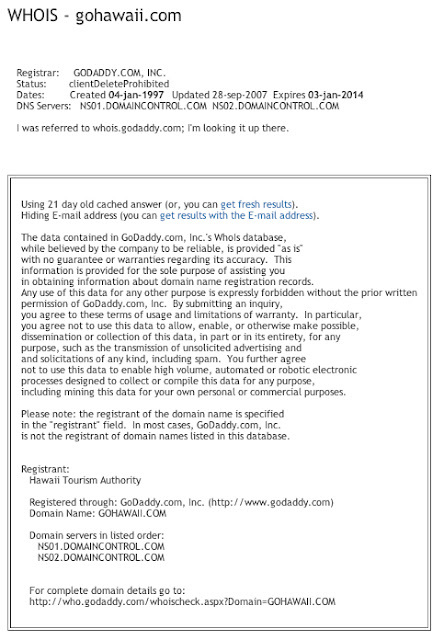 You might not know that looking at the page, but that's who the registrant is. 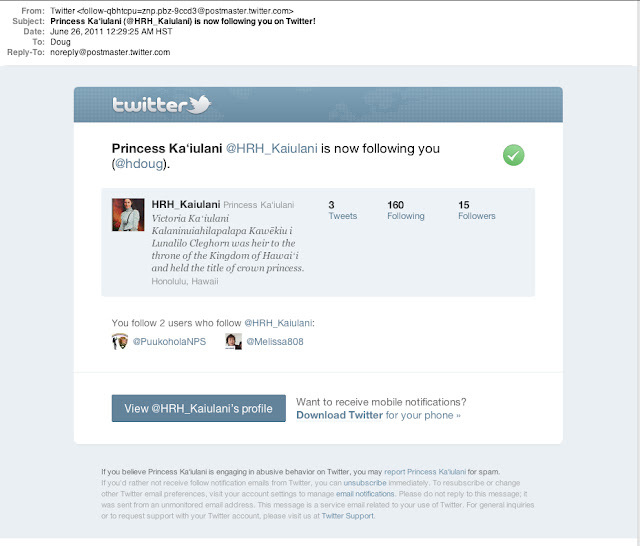 I can't believe the Hawaii Tourism Authority thinks it's okay to use Princess Ka‘iulani's name and persona to pitch affordable vacation packages. She was heir to the throne and practically a martyr to the cause of an independent and sovereign Hawaii. Conscripting her persona for commercial purposes strikes me as cheap and offensive. Yes, there already is a Waikiki hotel named after her, but there is no virtue in perpetuating error. 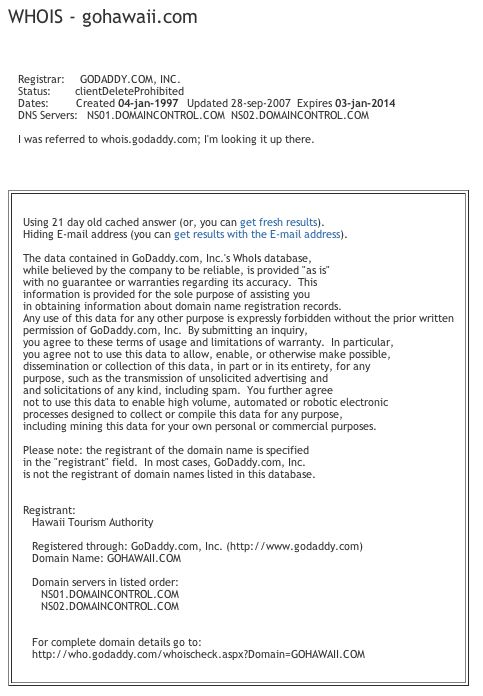 The Hawaii Tourism Authority is the "lead state agency for tourism" according to their own website. The first element in their vision is, "Honor Hawaii’s people and heritage." Some people can lie without flinching. Anyway, am I being too sensitive about this? I'm not Kanaka Maoli (native Hawaiian) but I got an adrenaline smack in the face when I saw this and I'm still kinda pumped. A'ole Pono. I googled the Twitter feed but can't find it.. Did they remove it? Wow. This is horrible, horrible Twitter campaign. A breach of good taste. An insult to the crown, the people and the woman herself. I can believe it.